Happy Friday! This week feels like it flew by! I think it's all the anticipation for my family to arrive! They're driving up tonight all the way from Lexington, KY to visit me and my brother for the weekend. My brother is engaged, so he and his fiancee wanted to show us all their wedding venue and new apartment, etc. It was perfect timing because my dad just happened to have a 3 day weekend! God always seems to bring us all together somehow, and I am very blessed for it! Anyway, here's what I was up to this week! 5.) Did you see the crazy amount of posts that went up this week? I was on top of things! One of those posts was part of a link up called "Currently" where I shared several updates in my life such as what I'm hoping for and what's on my wishlist. It's super fun to do! You can check out my post here and join in next month's linkup here! 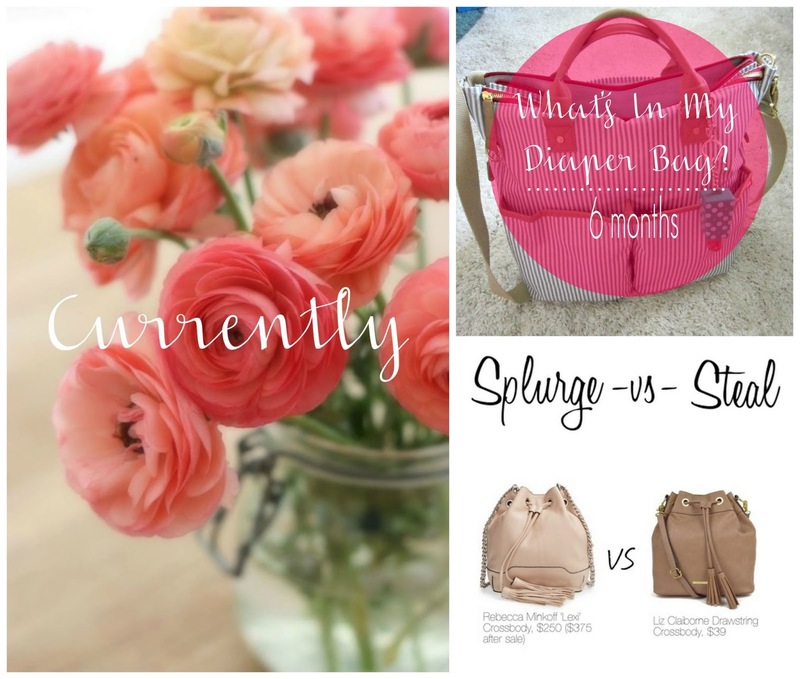 Some other posts of the week included this Splurge VS Steal roundup of summer trends and an updated What's in my Diaper Bag? post! enjoy this high quality, low light iPhone photo. rest assured the frames are not crooked, though they look it here. 3.) Speaking of Lucy, I am just obsessed with this video I got of her laughing soo hard! It makes me smile every time and just warms my heart. Hopefully it brightens your day, too! 2.) 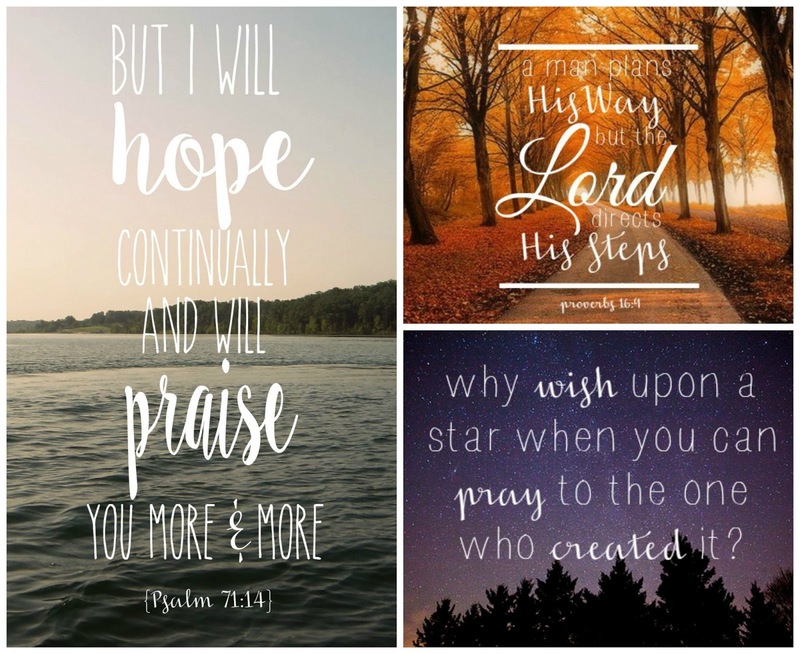 If you saw my Currently post, you'll remember these cute quotes I posted there. I love making them! Most of the ones you see on the blog here are personal photos that I added typography to, but I only have so many photos of nature ;) the original images are always linked to ensure the owner gets recognition. I think I could make them all day! 1.) My sweet girl is almost 7 months old! And hubs and I are celebrating our 2nd anniversary next week as well! It seems like so much longer that we've been married and so much shorter since we had Lucy....crazy how time flies -- and crawls!